My students at CVSW are doing well and have a long list of things they want to learn. 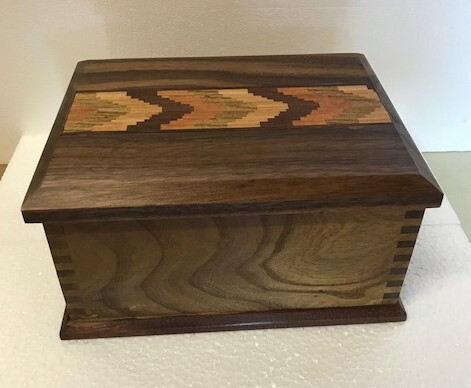 Dan, a student from my last box making class sent a photo of a box he finished using the bit of inlay he received as a gift from me at the end of class. It makes a classy box, don't you think? Ia m starting my third day of box making here in Connecticut. A week's collection of boxes. Today in the wood shop.